Photos of the remodeled property courtesy of JSAMJ. A two-story Bluff Park home that made headlines when a fire broke out in 2015, displacing two residents and killing a dog, has been restored and is on the market for a cool $1.699 million. The 3,296-square-foot house on a 7,506-square-foot corner lot had to be gutted down to the studs and rebuilt externally to the original 1917 design, according to the investment group JSAMJ Inc., which purchased the home for an undisclosed price in June 2015, two months after it went up in flames. The home itself holds four bedrooms and 2.5 bathrooms and was reconfigured to give off a more contemporary feel with an open concept kitchen and french doors that lead to a pavered patio area that wraps around the house. The living room also holds a sitting/reading room and the master suites features an en suite bathroom and private balcony with ocean views. A detached two-car garage and long driveway was also created to accommodate up to four more vehicles. The new landscaping is fed by a drip irrigation system. Spencer Snyder Group was contacted earlier this year by JSAMJ to list the property. While the $1.699 million price tag has been bumped down from the original asking price of $1.799 million, don’t expect that number to drop any further. 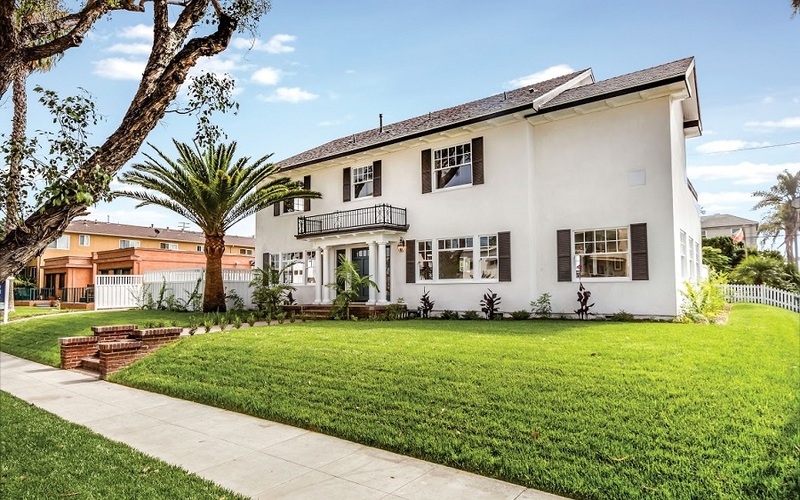 Over the past year the assessed value of properties in Los Angeles County has increased by 6 percent, reaching another record level and marking the seventh straight year of increases, according to figures released today by the assessor’s office. The property roll put the assessed value at $1.416 trillion, up $80.6 billion from last year. Los Angeles, the county’s largest city, led the way with a valuation of $568 billion, up 6.6 percent from 2016, Long Beach placed second at $54 billion, followed by Santa Monica at $34.4 billion, Beverly Hills at $31.9 billion and Santa Clarita at $30.7 billion. Click here to see the full report. The Bluff Park home is available to see by appointment or on weekend open houses, including this Saturday and Sunday, October 13-14 from 1:00PM to 5:00PM. The home is located at 3400 East 1st Street.